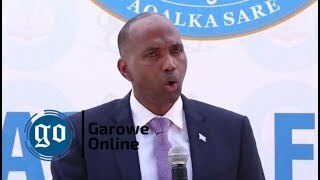 MOGADISHU, Somalia - The lawmakers of the Lower house Chamber of Somalia's Federal Parliament were reported to have filed a motion against the House speaker Mohamed Osman Jawari, Garowe Online reports. Reliable sources tell GO that 140 parliamentarians are until now signed the motion which is aimed at ousting the speaker and is expected to be submitted to the leadership of the house of the people in the coming days. 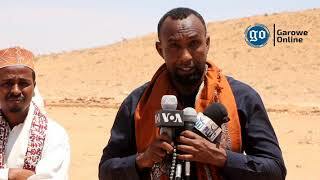 The MPs, most of them from Southwest State accused Jawari of obstructing brought at the Parliament for approval, allowing National leadership Forum to arrogate the tasks of the parliamentary committees, including the constitution, resources, and the 2020 elections. 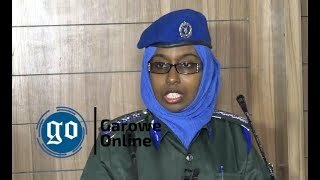 They also blamed the house speaker for hampering the constitutional review process which was hijacked by the Federal Minister of Constitution, Abdi Hosh Jibril and working with the government on ways to prevent the Senate from being part of the rebuilding of Somalia. Once the motion is submitted and the lawmakers began debating it, the speaker will not chair the seatings. 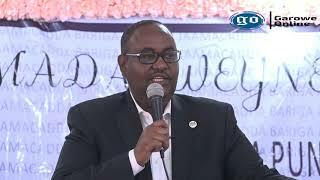 The President of the Southwest Sharif Hassan Sheikh Aden, who served as speaker of Somali parliament prior to this post is said to be lobbying for the current anti-speaker motion, according to a member of the house, who spoke to GO by phone from Mogadishu on condition of anonymity. 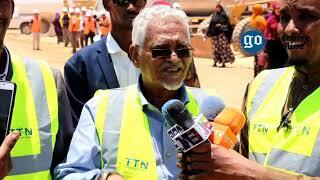 "For his part, Jawari is preparing another motion that he aims to file against the Somali Prime Minister Hassan Ali Khaire, in a bid to confront the current one signed by the 140 legislators," said the MP. The anti-Jawari MPs are said to be worried about the speaker's plan to get 40 lawmakers to sign his motion against PM Khaire. The move comes as the third session of the Federal Parliament was officially opened last Saturday Somali President Mohamed Abdullahi Farmajo. 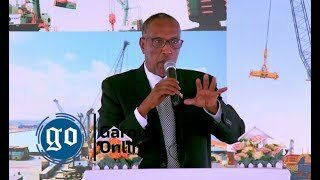 In their first seat on Monday, the MPs of the lower house of Somalia’s parliament voted Monday to ban DP World, a Dubai state-owned ports operator from the country, after signing an agreement to operate Berbera port with the northwestern breakaway Somaliland.